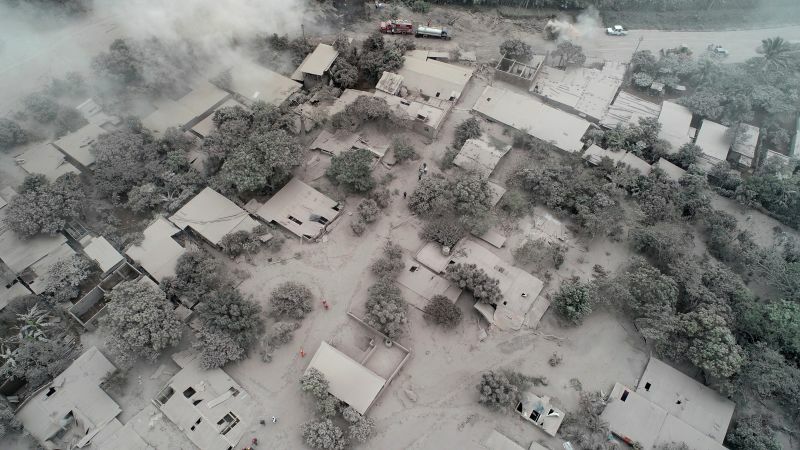 Three volunteers in an EPIC/FUNDAMARCOS vehicle left at 4:30 AM on June 5 to go to the make-shift morgue set up in a school for victims of Sunday’s pyroclastic flow which swept through the village of Los Lotes, Esquintla. With them was the sister of one of the victims. She hoped to be able to identify some of 13 missing family members, and then the group hoped to take the bodies to the cemetery for burial. Outside the school/morgue were about a hundred people waiting. While they were in line there was another volcanic eruption, and the authorities declared an evacuation. Everyone was running and yelling. When the our contingent got to their vehicle, there was an enormous line of cars, hardly moving. To make the story short, they made it home at 4:00 AM, June 6, by taking very round about dirt roads and getting more gasoline from a helpful stranger. The 2 important highways between the Pacific Coast and Antigua and between the Pacific coast and Guatemala City were both closed because of volcanic flows and bridges out. The Maya Cultural Center and the McKay’s house (also the EPIC office) are okay, but everything inside and out is covered with about an inch of ash and volcanic sand. Olga, Haydee and Francisco are valiantly sweeping and cleaning, but the wind keeps blowing in more ash. Please consider donating to Mujeres En Acción through Network for Good or through our EPIC store.